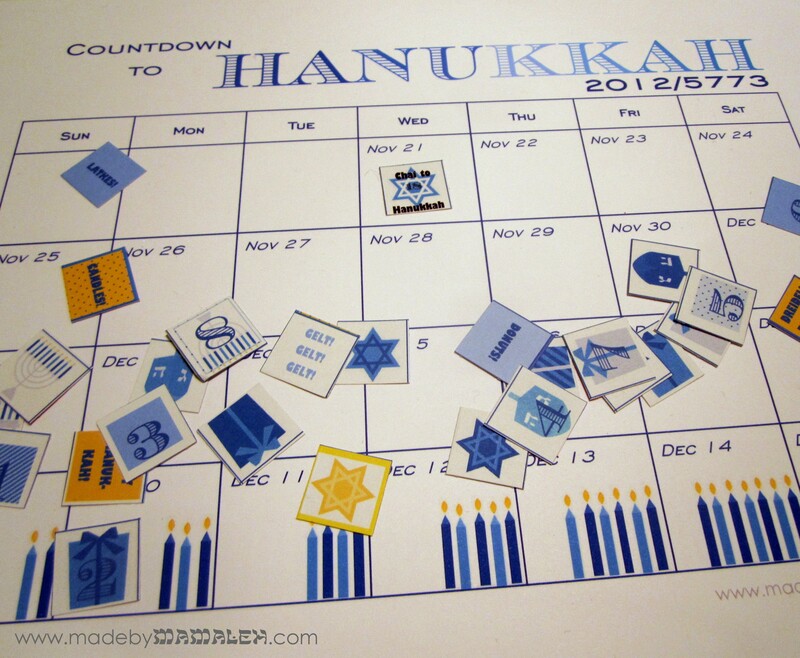 This entry was posted in Hanukkah, Kids, Printables and tagged calendar, Hanukkah, Printables. Bookmark the permalink. ← Hanukkah is Coming: Cards and a Giveaway! what a nice idea. My 8 year old grand daughter will love it. I’m sure it will go on the frige so she can keep track. Great idea to have the number of candles on the calendar. About day 4 I always forget how many to put on! Fantastic! I’m sure my 5 year old will love this – I have already printed a copy off in anticipation!